Hi there! Are you planning for a holiday somewhere in Asia? Well, have you considered coming to Malaysia? What?! You don’t know where Malaysia is? Well, no worries. 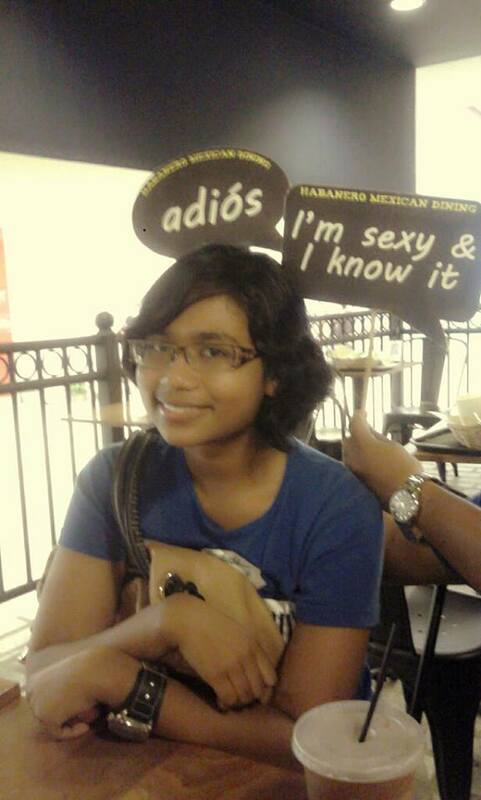 I, a Malaysian, will be your guide in understanding and discovering Malaysia and its wonderful delights. First of all, before we go into anything deeper, you should know a bit more about my home country. Stuck in the middle between Singapore and Thailand, Malaysia has always been known as the ‘lesser known cousin’ of Singapore, a term which all Malaysians, including yours truly, cringes to even use since these two countries were once one. Why does this happen though? Well, the answer is simple. Between a commercially known tourist destination and an urban island country, no wonder people overlook the 14-state peninsula rich with culture, diversity and, of course, food! Yes, you read that right. 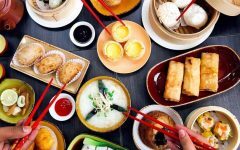 Who would have thought that in the middle of two countries that are known to offer the most delectable Asian foods that the world has tried and loved, there is a treasure trove of age-old Asian cuisine that is authentic. I plan to convince you to explore Malaysian food because my friend, it is just that good. Let’s dive right in, shall we? Ah, one of Malaysia’s finest. It is a birthright of every Malaysian as well as first-time traveller to this country to try out this simple yet complex dish once a day. If you leave Malaysia not having tried this dish you would have committed the biggest sin. It is a national obsession that and very worthy of it too. Nasi lemak or coconut rice is a dish believed to be a creation of three different cultures created way back when the Malacca Sultanate empire was seen as the biggest maritime port in Southeast Asia. 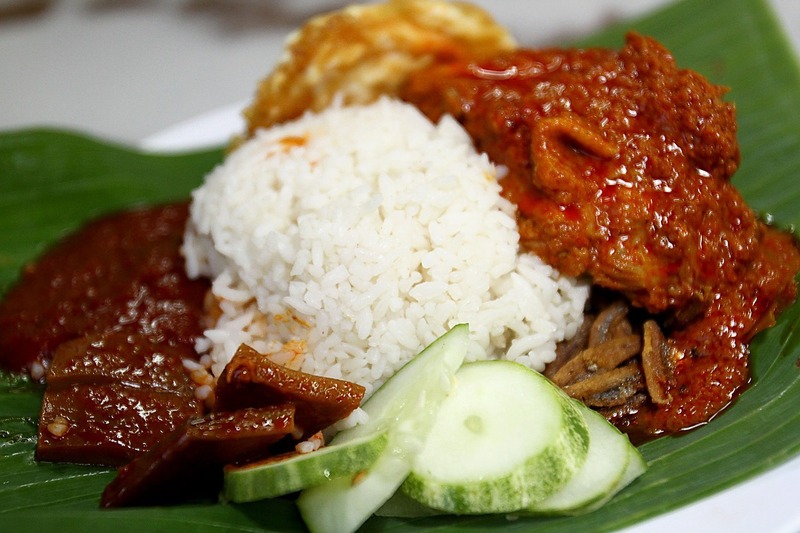 A typical nasi lemak should have five components which include the fluffy coconut rice, fried crispy anchovies, crunchy peanuts, sliced cucumbers and of course, the belle of the dish, the spicy sambal sauce. Now, having at least five components is essential. That one spoonful of nasi lemak should include bits of each component giving you a mouthful of different textures, a bit of salt, a pop of freshness and a hit of fire. All five are nothing short of perfection. Travel tip: Don’t depend on Google. Explore! – Tourists usually make the common mistake of relying on Google to find the best eateries or restaurants. Most of the ones named in Google are the ones that are usually pricey; food that is also not that good but has the upper hand of being ‘tourist-appropriate’. Get a local guide or better yet, walk about and enter the places where you can are filled with locals. Not only is the food great but it will kinder on your pockets too. One bit of advice, if you’re not used to spicy and varied food, I advise you to take your charcoal pills first before attempting such experiences. 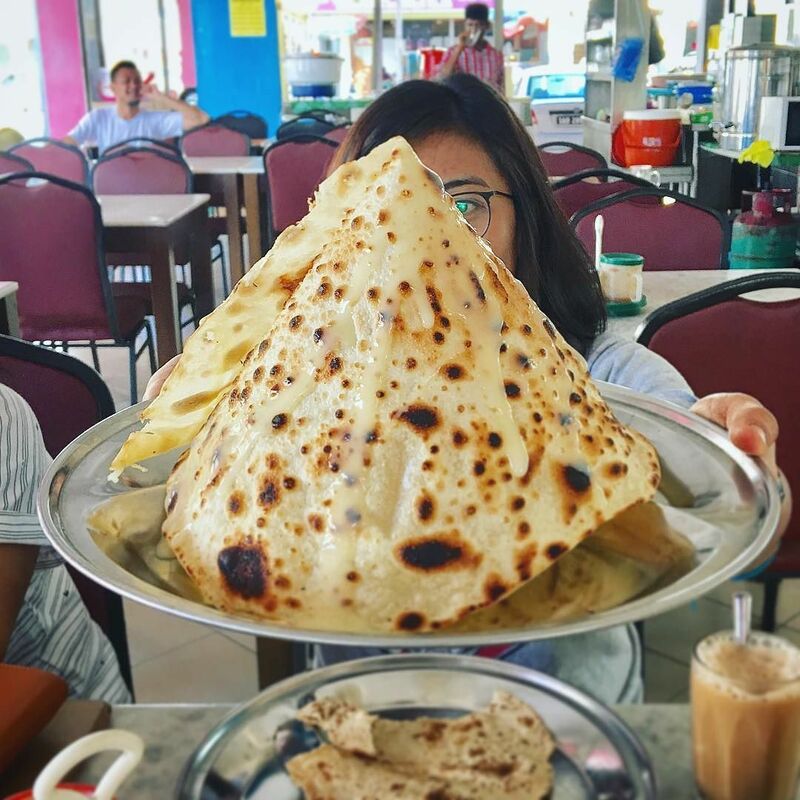 I can say, with full confidence, if you want to try really, and I mean REALLY good roti canai, you must, without question, visit Penang Island, Malaysia. Of course you may have heard about the little island in the north of the Malaysian Peninsula. It’s my home state. 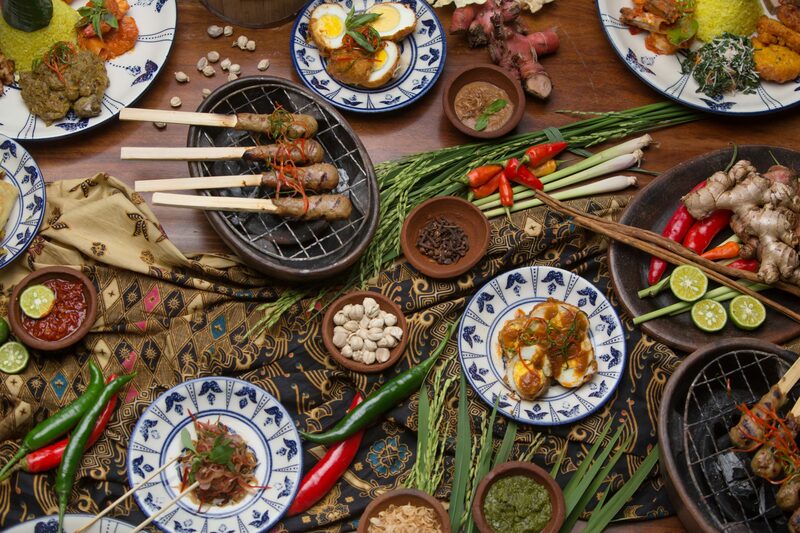 We have not only be named once but many times by various bigwigs of media as the go-to ‘Food Haven’ in Southeast Asia. Besides that, Penang is the pioneer state to introduce all the goodness of Indian-Muslim cuisine such as the beloved nasi kandar and the ever legendary, roti canai. 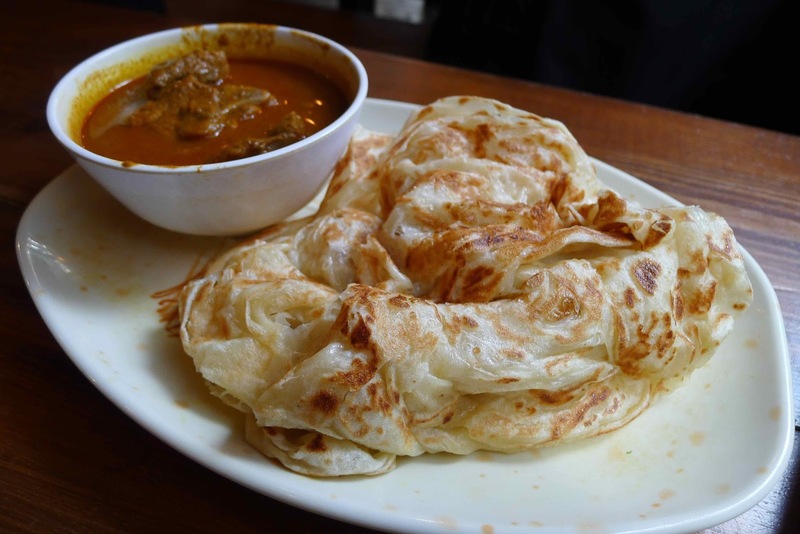 Now, the history of roti canai is quite straightforward. There were many traders from India who visited Penang Island (formerly known as Province Wellesley) for business and decided that the beautiful tropical weather and the status of the island as a popular port among merchants suited them and decided to settle there. After a successful marriage with one of the local families, a trader realised there is one more thing that must be introduced to this beautiful island and that ‘thing’ was Indian food. So, roti canai, as well as other Indian Muslim cuisine were introduced and modified to suit the palate of the locals. In other words, the flat Indian rothi has turned into the flying bread known as roti canai. Just like making a pizza, you have to first flatten the dough with some oil and toss it in the air. Fold, flatten and toss again till you get a perfect circle which is then fried to a crispy yet fluffy texture. Roti canai is best eaten with 1) hands and 2) with a ladle of fresh dhal and a dollop of spiced beef gravy. Perfect! Who would have thought of making just your regular old lunch into a culinary phenomenon? Well, the answer is Malaysians or specifically, Malaysian Indians. The banana leaf rice is not something new. It has been eaten for generations by South Indians. 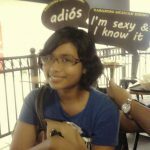 When they moved and settled to Malaya in the 1900s, they brought along their culture of eating food using the banana leaf. Since most of them were working in estates and plantations, it did not seemed practical to carry around a tifin or a lunch pack while traipsing around the jungle. That’s just unwanted weight slowing you down. So, what’s the practical option? Banana leaf of course! It’s organic, you do not to have wash it, you can find it in abundance in the jungle. As an added bonus, it makes your food smell extra good. What’s not to like? 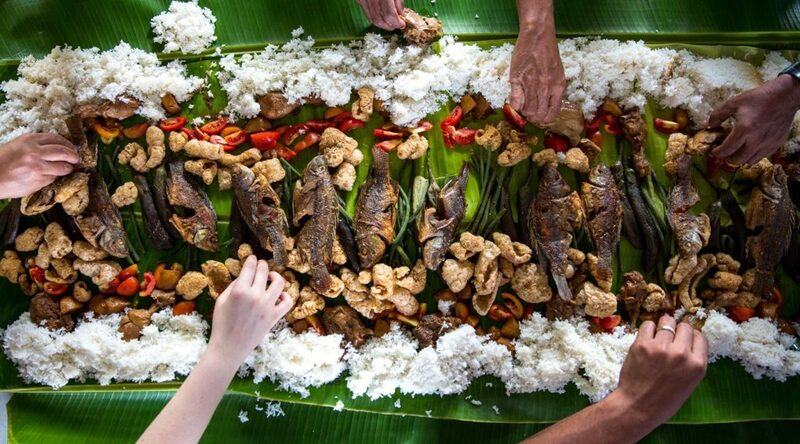 All the eco-friendly characteristics aside, the banana leaf rice originally consisted of vegetarian dishes. Nowadays, you have the option of ordering meat dishes as well because the majority of Malaysians love their meat. Although it may seem like a primitive way of dining, there are certain rules and etiquette that you must adhere to. You can learn all about it here. Trust me, you will need it! I know what you are going to say when you see this in the list. “Oh, you can get this in Singapore and China. Why would I need to try it in Malaysia? it’s gonna taste the same anyways.” Well, you are wrong. 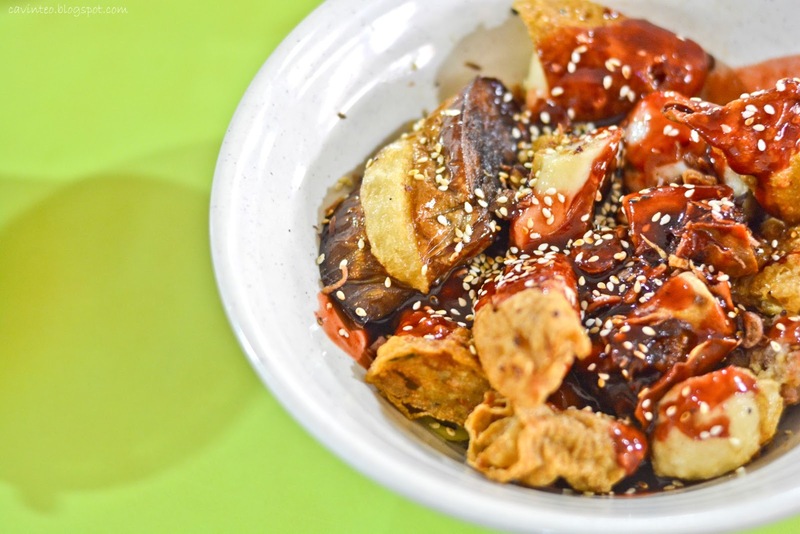 There is a perfectly good reason why you should try the ones we have here in Malaysia especially the Penang version of Chee Cheong Fun. Why? The answer is simple. We made it better. So, chee cheong fun or rice noodle roll originated from Southern China. 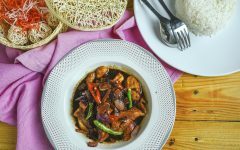 It is basically filled with shrimp, beef or pork, some vegetables and seasoned with a generous amount of seasoned soy sauce. Now, in Malaysia, we put an extra ingredient to make the somewhat, plain dish turn into a flavour bomb with every bite. A little shrimp paste is smeared on the flat rice noodles to give the flavour ‘kick’ you’ve been missing out on the whole time. I know how annoying it can be to adjust to a hot and humid climate after experiencing the chilling wind of winter or the pleasant warmth of spring. Upon entering Malaysia, you would experience the many, many uncomfortable feelings of sweat dripping down your neck and the unbearable thirst that needs quenching on a regular basis. That’s normal. We Malaysians call it, ‘beach day’. So, after experiencing all these symptoms, you might need to catch a break and get a ‘cold one’ to cool down your body. 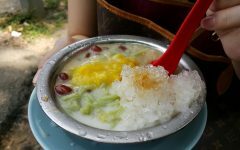 However, instead of the overpriced frappucinos, iced coffees and ice cream, get a bowl of cendol or ais kacang instead. Twice the goodness at half the price! I can assure you that these two dishes are not like any ordinary dessert you have had thus far and yes, I am including the famous bingsoo too. Let me paint you a picture. 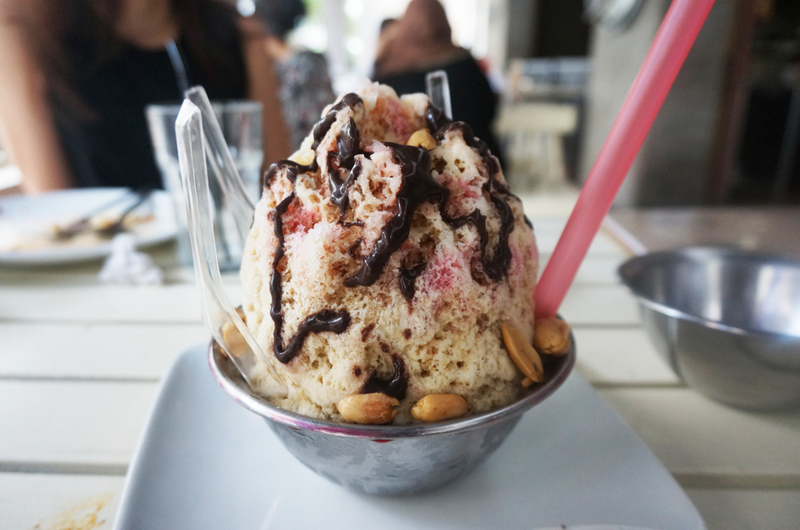 Imagine a tower of shaved ice covered with sweet rosella syrup, sweet corn and condensed milk. With every scoop, you will unearth beans of every kind, ground nuts, jellies and ice cream that will come spilling forth like molten chocolate in a lava cake. Prefer your bread sweet? Well, this is a dish for you. The roti tissue, known for its tissue-thin texture, is a dessert-ish version of the roti canai. 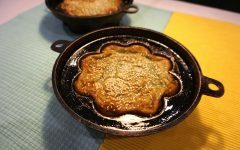 The method behind making it is similar to the roti canai but instead of flattening and folding the dough to create the layered effect, it is flattened and stretched as thin as possible and glazed with a sugar syrup mixture before being fried to a crisp. The piping hot crispy bread is then rolled into a conical shape and poured with copious amount of sweet condensed milk. Don’t be fooled by the simplicity of the dish and think, ‘oh, I can definitely finish off two of these by myself!’ Although I normally support, even encourage, confident and strong statements such as this one, I highly recommend you order just one and share with it friends. The sweetness of the sugar syrup seeped into the dough as well as the additional drizzle of condensed milk on top can be a little too much to be eaten in one go. No Malaysian has ever managed to finish one by themselves and in one sitting. That I know of. But, you are free to try and attempt it for yourself. After all, you are signing up for the full Malaysian experience, right? Just like the English, we Malaysians too have tea in the evenings and like the English who have scones, finger sandwiches and tarts for tea, we have kuih to decorate our table during teatime. 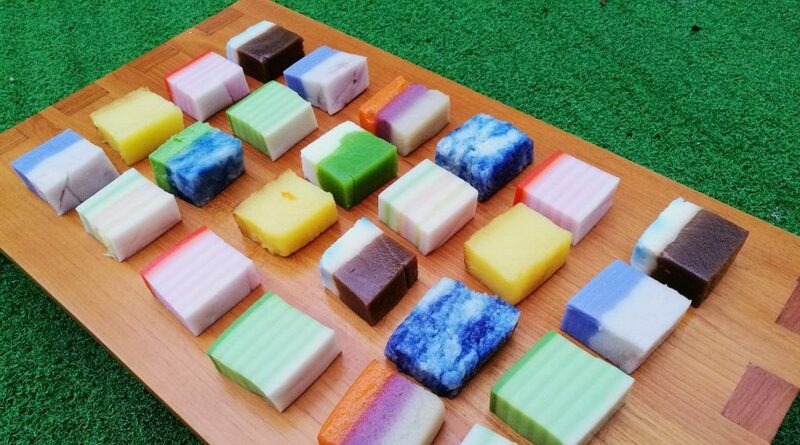 Kuih, or kueh, are bite-sized cakes, made usually with glutinous or rice flour, flavoured with traditional favourites like gula melaka, pandan, tapioca, ube and rosella. With three different cultures living in one land, the amount of kuih to be found here is just too much to be even be named. Kuihs are generally found by the roadside, sold by an aunty or uncle who sets their various offerings on a foldable table under an enormous umbrella. By the way, you don’t want unwanted ‘frostings’ on your kueh. If you happen to try one that has frostings when it shouldn’t, well, best you take a big gulp of water. Good news is that the Chinese believe it’s a form of luck being bestowed upon you. This is a dish I’d like to call the hidden gem of Malaysia. Very common in Terengganu, Nasi Kerabu or Herb Rice is one of the most unique and complex dishes that Malaysia has to offer. In big cities like Kuala Lumpur, finding a stall or a restaurant that sells even a decent plate of Nasi Kerabu is rare. Therefore, to discover a place that sells this elusive dish is definitely an achievement not just for tourists but the locals too. 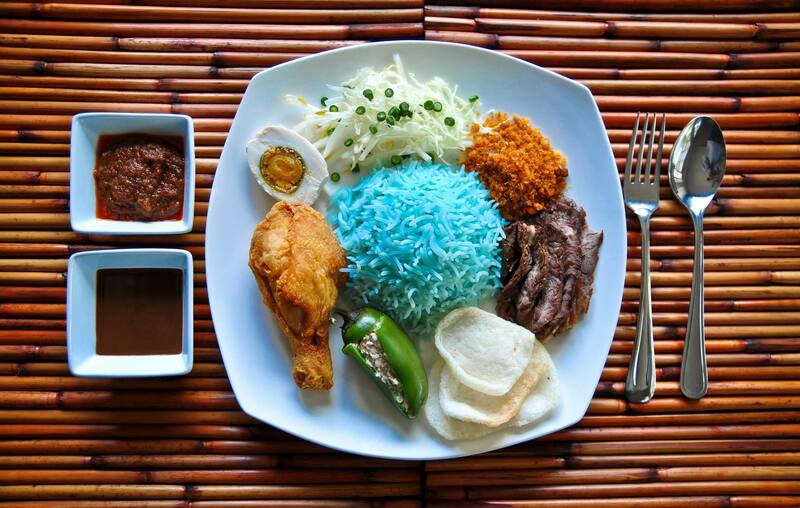 Nasi Kerabu has at least 7 components; the blue-dyed rice using the butterfly pea flower, desiccated coconut, green chillies, grilled fish or chicken, prawn crackers, a handful of herb salad and half of a boiled salted egg. 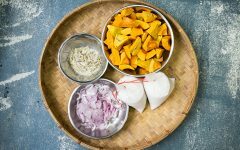 The trick of enjoying nasi kerabu is to make sure you have a little of each component in that one spoonful of rice in order to taste the complementing flavours and textures of all 7 components. If you really want to try authentic nasi kerabu, head to the east coast of the peninsula to Terengganu, a state rich with sea products, turtle-watching and beautiful islands. We are now on the 9th item in the list! So, what’s next? Oh, the burger Ramly. It must be funny for you that of all the different types of Malaysian dishes, a mere burger is mentioned here. 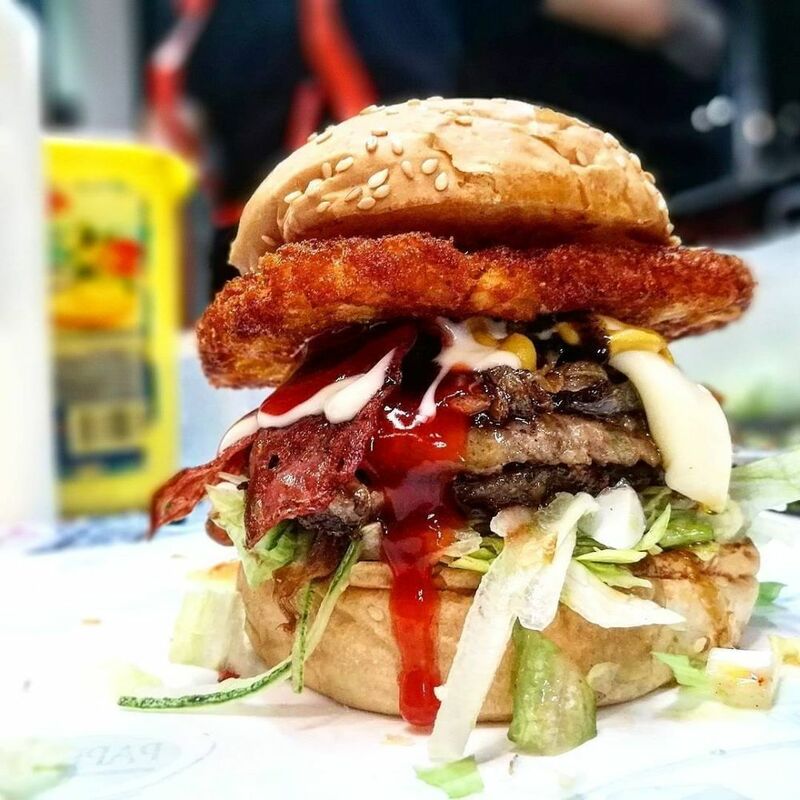 First of all, Burger Ramly is no ordinary burger even though it is commonly sold by the roadside in rickety trucks or makeshift wooden stalls. Before we get into much detail, let’s go back a little. The name ‘Ramly’ is derived from the brand of the meat patty used. At first, the Ramly patty was chosen because of its cheap price. Sellers figured out how to enhance the flavour of their burger with the addition of an omelette wrapped around the meat. It was then topped with fresh vegetables and a dollop of different sauces. It was a winner and today, the Ramly burger has a firm place in our culinary history. You might be surprised to hear that this exact Burger Ramly, which you can find for RM4 (USD1) in Malaysia was sold for USD36 in New York. Not bad for a burger, huh? In the final spot, is Hainanese Chicken Rice. Simple, tasty and definitely affordable, there is something about this dish that is just so comforting. 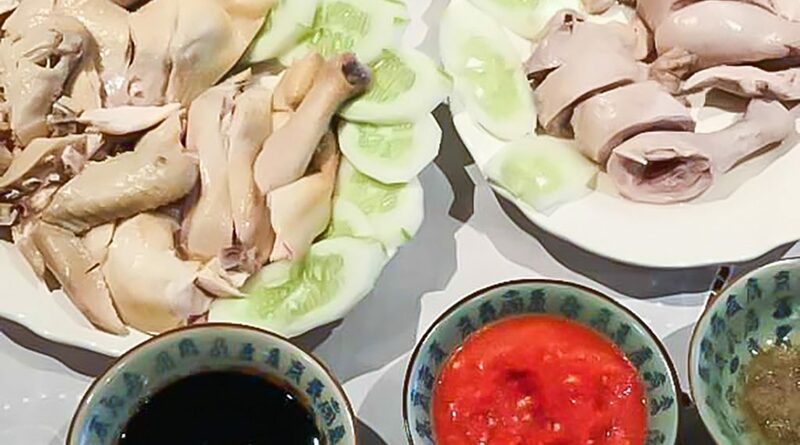 The key for a perfectly good hainanese chicken rice depends on how perfect you can prepare each one of the components. Learn more about this dish in this article. I hope all this talk of food gets you excited about my home. It is a tropical paradise rich in food heritage food and culture. 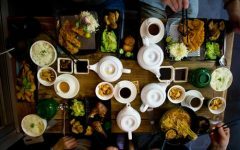 So, if you’re ever heading this way, make sure to try a few of these local favourites listed here and feel the experience opening your eyes to a world of delicious discoveries and delightful finds.